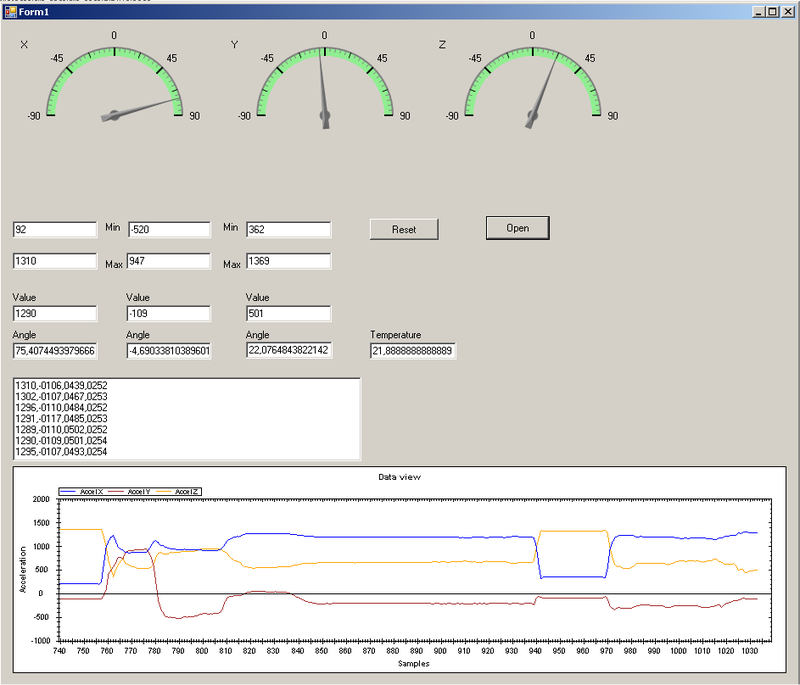 A little piece of software made to help in evaluating the performance of some accelerometers from Analog Devices, Freescale and VTI. Still work in progress and features added as needed. This entry was posted on Monday, April 16th, 2007 at 23:03	and is filed under Uncategorized. You can follow any responses to this entry through the RSS 2.0 feed. You can leave a response, or trackback from your own site.